Sea and Mountain. In the Terres de Mestral, is not necessary that you choose. Here you have everything! And among all the dishes Terres de Mestral , the icon is clotxa . Eat a traditional territory that has the ability to adapt to changing times and also allows us to discover and savor the tradition and the past. The clotxa was and is a food garden, field, outdoor and full of flavor. 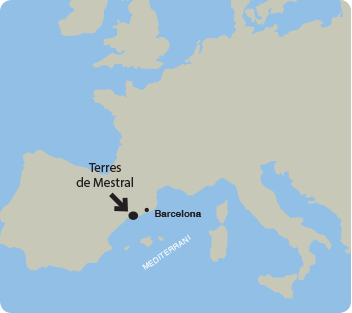 The cultural heritage of the Terres de Mestral is wide and diverse. If you want to know and to travel in the time, the summers months holding a permit visits are organized in order that you penetrate into our past, medieval histories, of war, of daily life. Discover them! El torn is an internationally acknowledged nudist beach. Lies on a natural spot called La Rojala. Away front he town centre, this paradise beach, goes along 1600 m flanked by dunes and vegetation. Enjoy the sea is a luxury in Terres de Mestral The marina offers services to the maritime practice sports within the reach of everyone. Sailing, regattas and cruises are a sample of what we offer in Terres de Mestral. Here you have everything! Sailing, scuba diving, paddle surf and much more!